Inserch is all about style that men who no longer want to look like a kid wear. If you're a grown man who likes to dress with style, you should probably know about Inserch clothing. 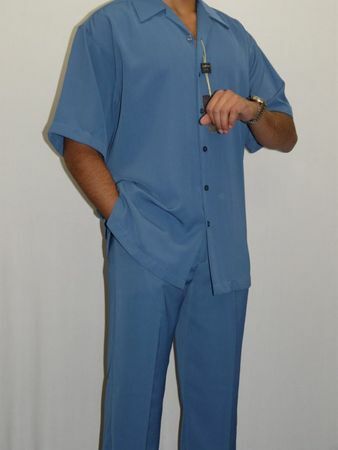 This china blue short sleeve set is made of fine high spun poly microfiber with pleated pants.